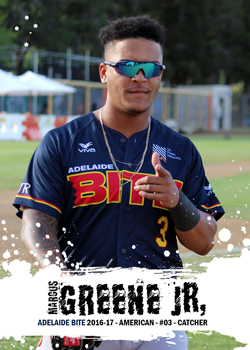 Greene is an American import from the San Diego Padres organisation who played with the Adelaide Bite during the 2016-17 ABL season. 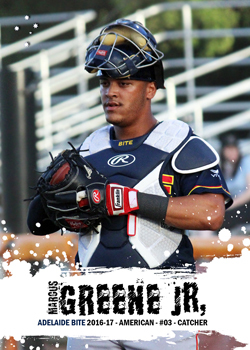 In 2016 Greene played with the Fort Wayne TinCaps and the Lake Elsinore Storm, before returning to the Single A level TinCaps in 2017. Greene was part of a 2015 trade between Texas and San Diego that saw Padres' Major Leaguer Will Venable traded to Texas.